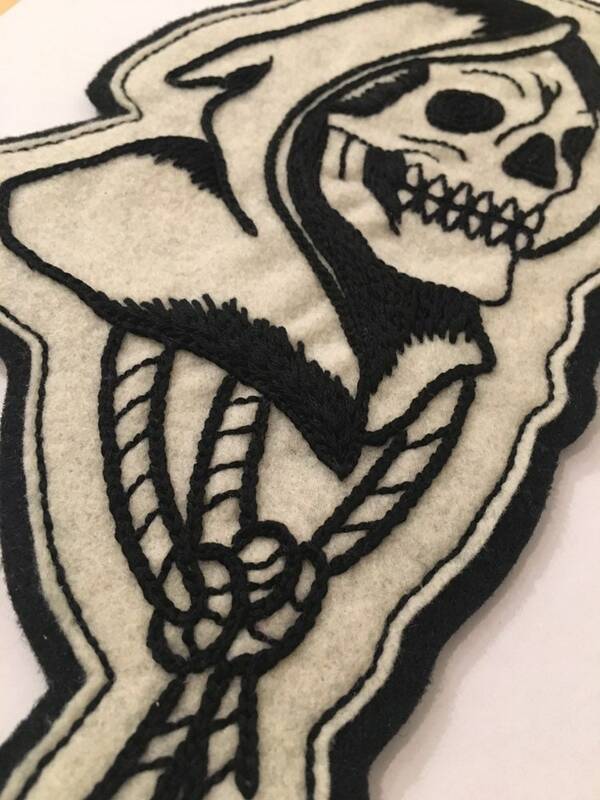 Hand-embroidered, hand-sewn and hand-cut off-white & black felt patch. 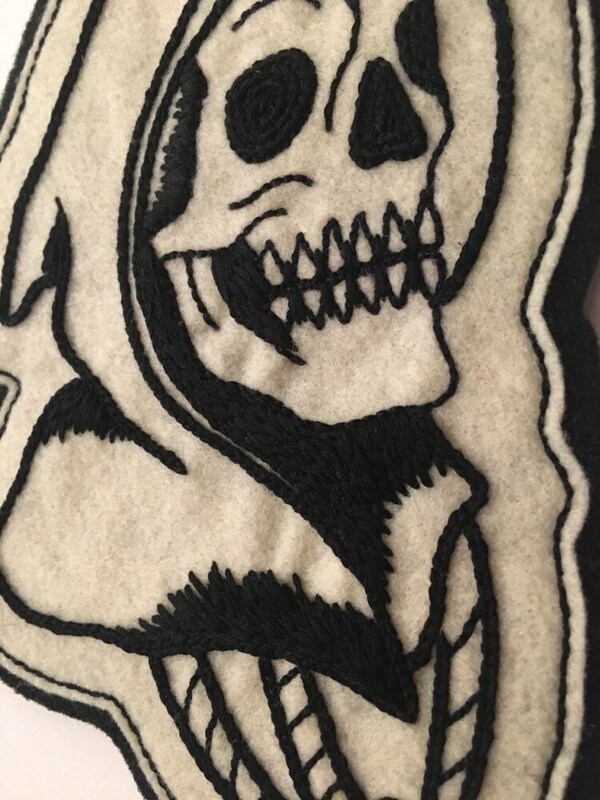 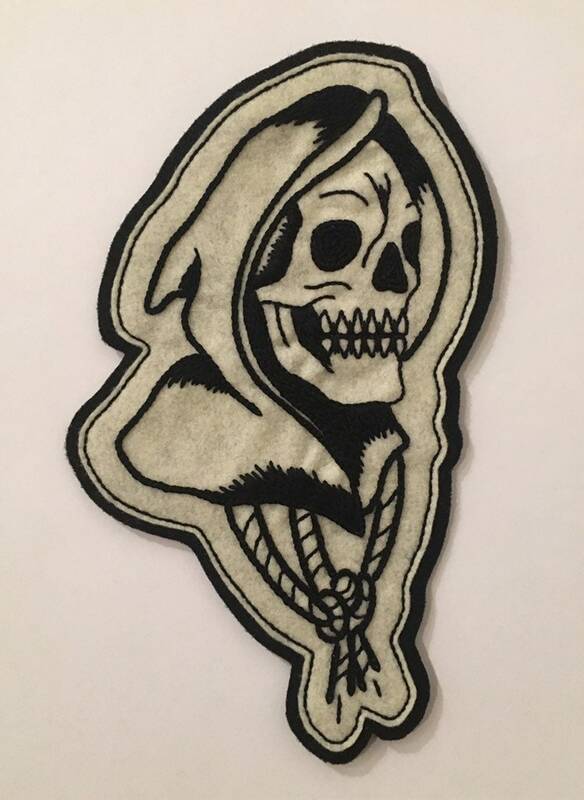 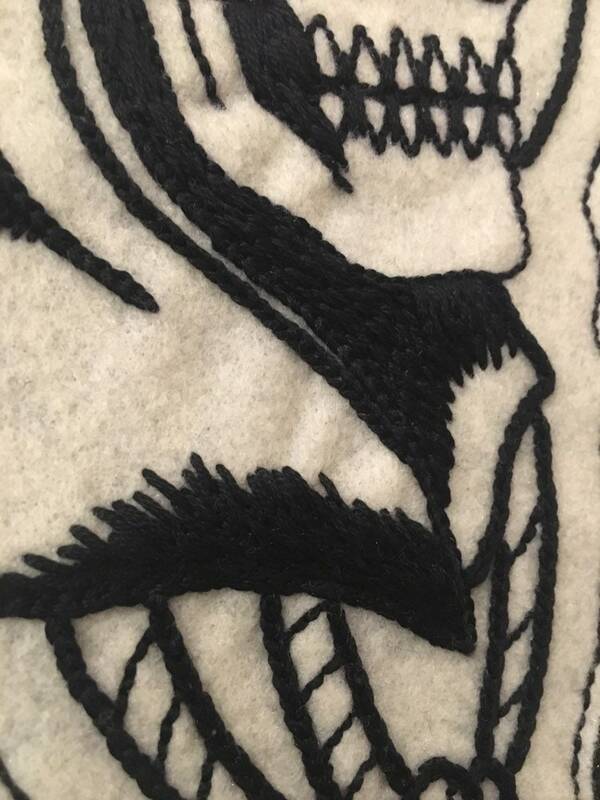 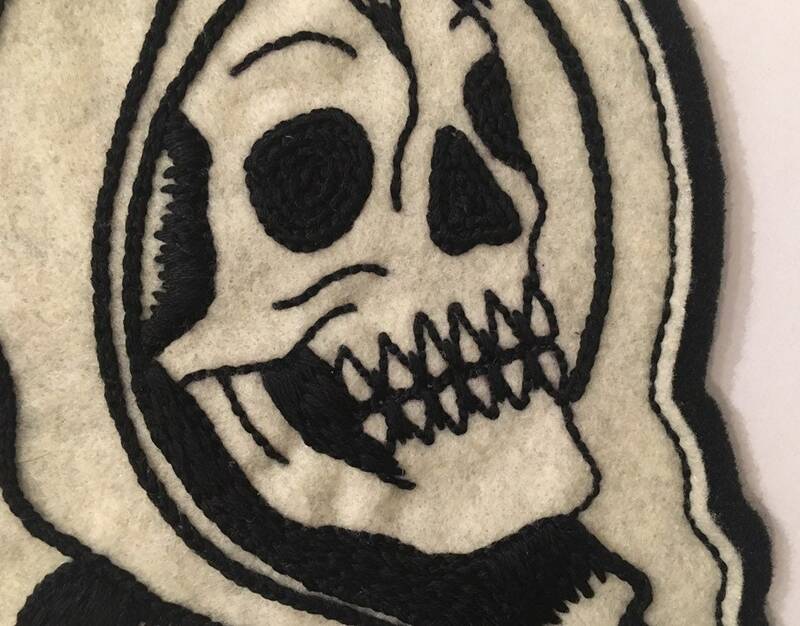 Large patch features a grim reaper skull with a hood and rope around its neck. 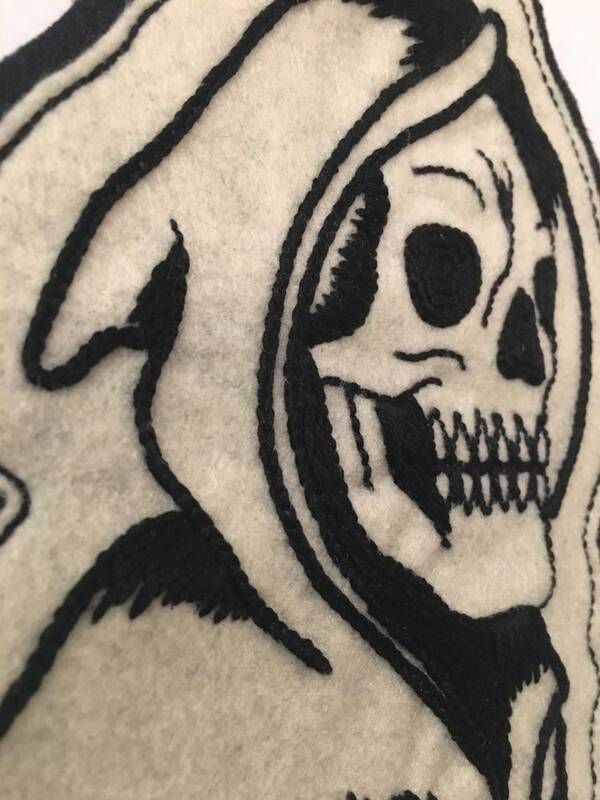 Reaper skull, hood and rope are sewn in chain stitch and a basic stitch in black embroidery floss. 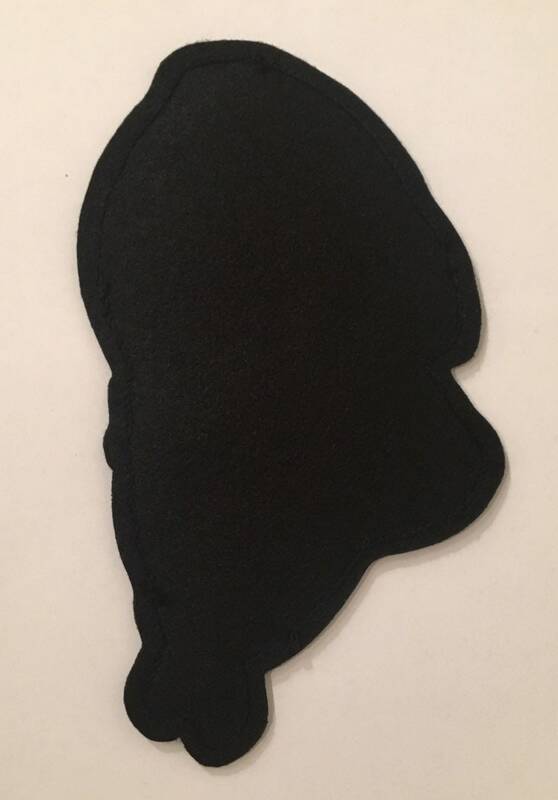 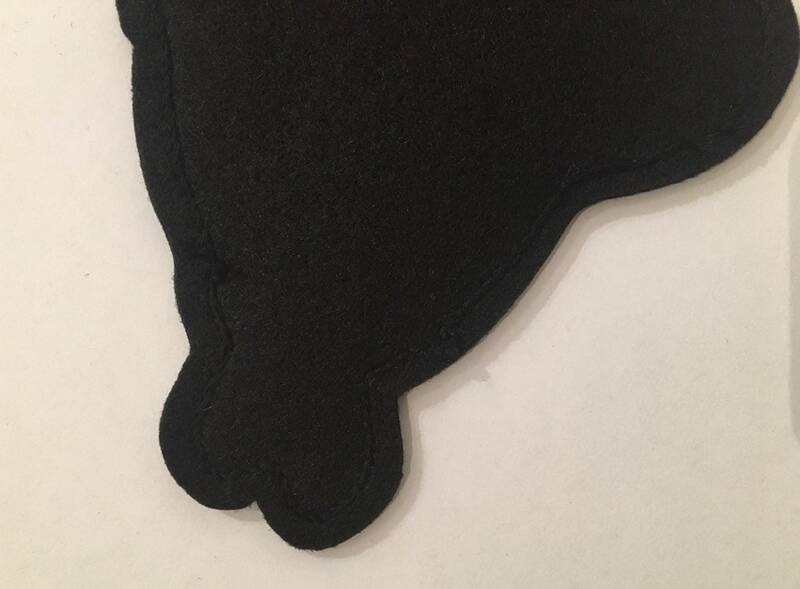 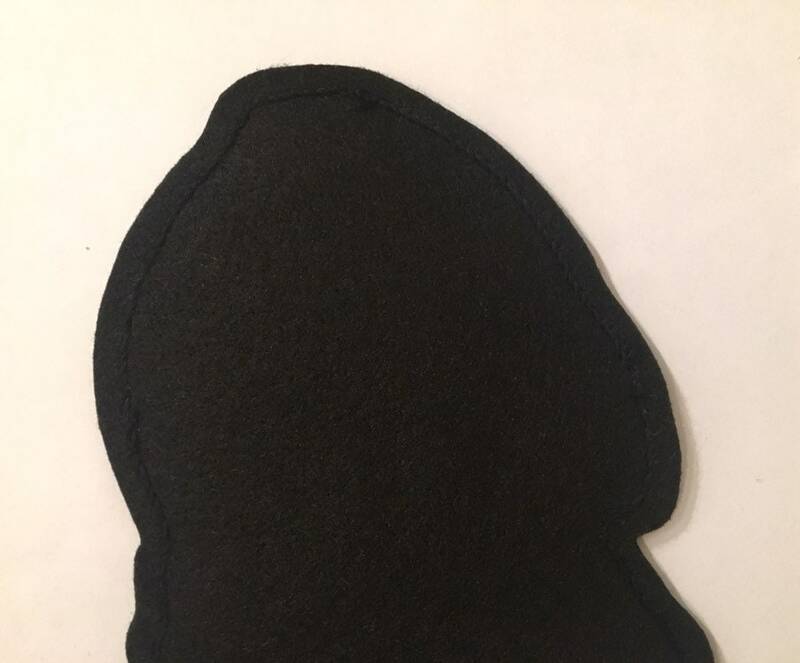 Image is sewn to an off-white piece of sturdy felt that is then sewn on top of a thick black piece of felt with black embroidery floss (creating a border) and trimmed to fit. 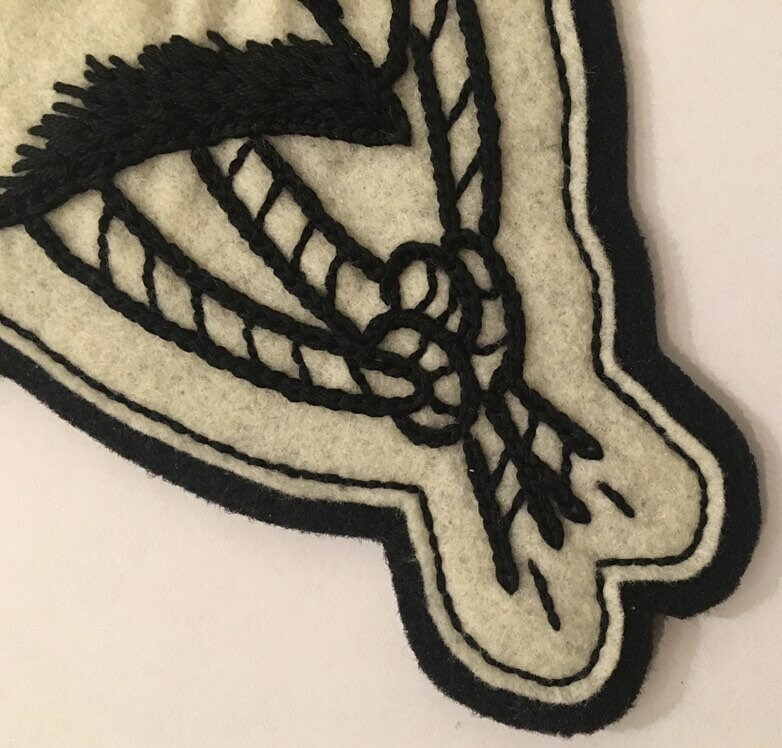 Can be worn on the back of a vest or jacket.